World of Warcraft has often been dirt cheap – it is a 14-year-old game, after all. But now there’s no need to purchase it at all, because the game’s now available for the cost of a subscription. Blizzard has done away with the old Battle Chest, so access to base WoW and every expansion up to this point is now part of the $14.99 USD monthly subscription. It’s a natural extension of how the company had been handling WoW up to this point, with old expansions getting rolled into the Battle Chest each time something new launched. Now the subscription simply includes the old content – everything up through Legion. It’s a slightly better deal for new players, though given how cheap the Battle Chest would go on sale it may end up being slightly more expensive for some. Make sure you’re up on all the best MMORPGs on PC. Of course, you’ll still need to purchase access to the brand-new expansion, Battle for Azeroth, for $49.99 USD. There’s still an option to buy the so-called “Complete Collection” for $59.99 USD, which simply gives you BfA and a slightly discounted 30 days of game time. Blizzard quietly rolled out the new system earlier today without any apparent announcement. The new options on the Battle.net store were our only indication that things had changed. This accompanies the Battle for Azeroth pre-patch which also launched today. World of Warcraft beginners have a pretty great time of it these days, and it becoming a bit cheaper to jump in certainly can’t hurt. 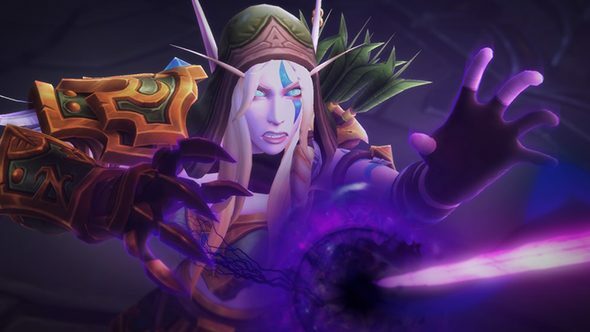 WoW veterans will be looking more toward the Battle for Azeroth release date slated for August 14 – follow that link to find a detailed breakdown of everything we know about the new expansion.